This Procurement Portal is a member of a community of Procurement Portals hosted and maintained by Supply Chain Network - your registration on this Procurement Portal is available at no cost to you and also automatically qualifies you as a free "Basic Member” of the Procurement Portal community. Click here to become a Premium Member of the Procurement Portal community and access the many benefits available to Premium Members . Supply Chain Network provides an Access to Markets solution where Suppliers can advertise who they are, what they do, where they are located and who they do business with. Supply Chain Network provides a comprehensive tender research service for Premium Members. 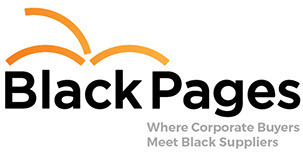 The BlackPages enterprise and supplier development portal is an innovative online platform that links procurement managers to 100% black owned companies. It is a fast, cost effective and reliable solution for companies that want to bring black businesses into their supply chains. It also provides opportunities for small businesses to develop themselves through online training and access to various support services. What began three years ago as an annual printed directory of black-owned businesses has developed into a multi-purpose online platform with advanced functionality designed to suit the specific needs of both buyers and sellers.